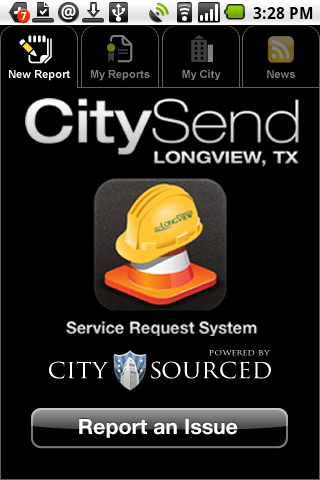 Residents of Longview, TX (reported on earlier this week – “There’s an app for that – citizen pothole reporting”) with smartphones can get a new mobile app called “CitySend“ created by CitySourced (didn’t credit that company in the first blog) to inform public works officials of their public issues. The mobile app, unveiled by Longview GIS Manager Justin Cure, allows users to take photos, record video and audio of a problem, and automatically provide GPS coordinates. After the report is submitted, users can track all reported problems on a map as well.